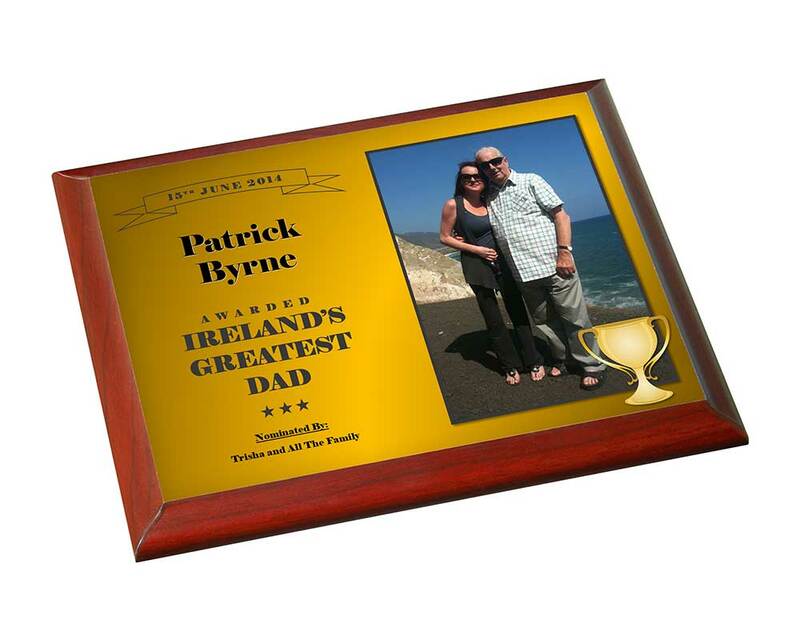 This fantastic new gift will be treasured for years to come. 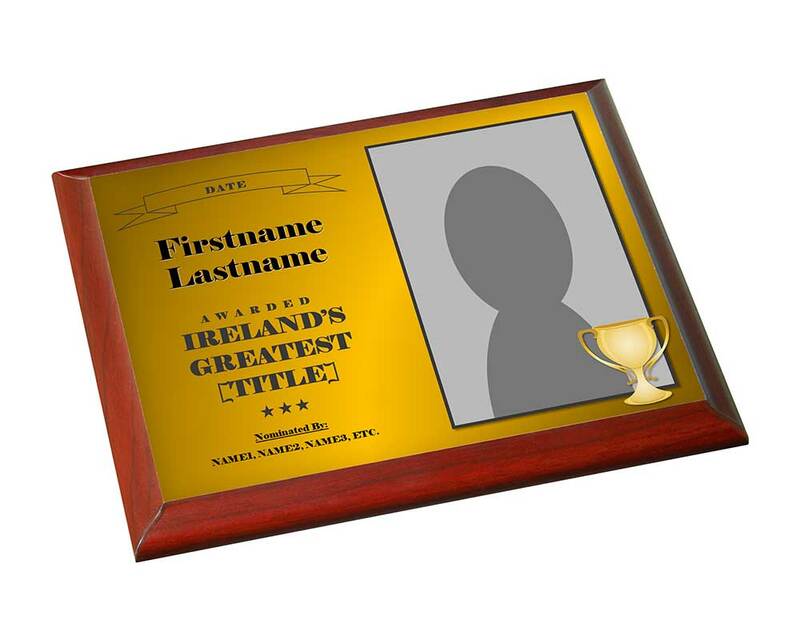 A large cherry ogee-edge wooden plaque awarding your recipient "Ireland's Greatest [TITLE]". 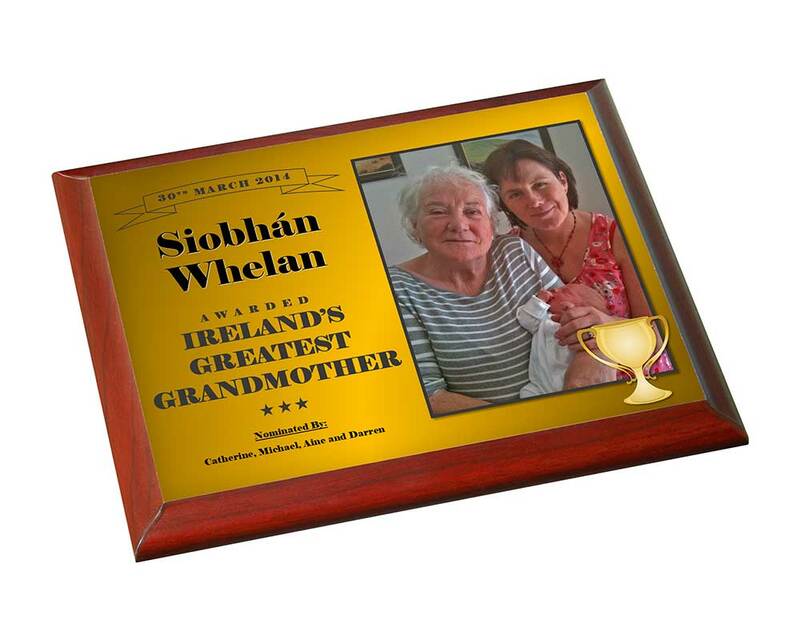 Suitable for Mothers, Fathers Grandparents, Sisters, Brothers, Couples, Friends, etc. You fill in the details and we will do the rest. The tick plaque contains keyhole cuts at the rear so it can be easily mounted. When uploading the photos, the larger the photo resolution/size the better, but no bigger than 15MB in size. The photo should be portrait (longer than wider), however we can crop if necessary.